The Referees golf day which was held on Friday the 4th was a huge success. The day started with the infamous Eshowe rain and mist pitching up unexpectedly, luckily the weather gods were with us and it cleared by the time everyone teed off. A big thank you to Eshowe Auto, Muffler, Eshowe Hills and Zululand observer for supporting and making it a fantastic day. All the visitors were very impressed with the estate and the good news is that the referees society have booked their golf day at Eshowe Hills for the next 2 years. 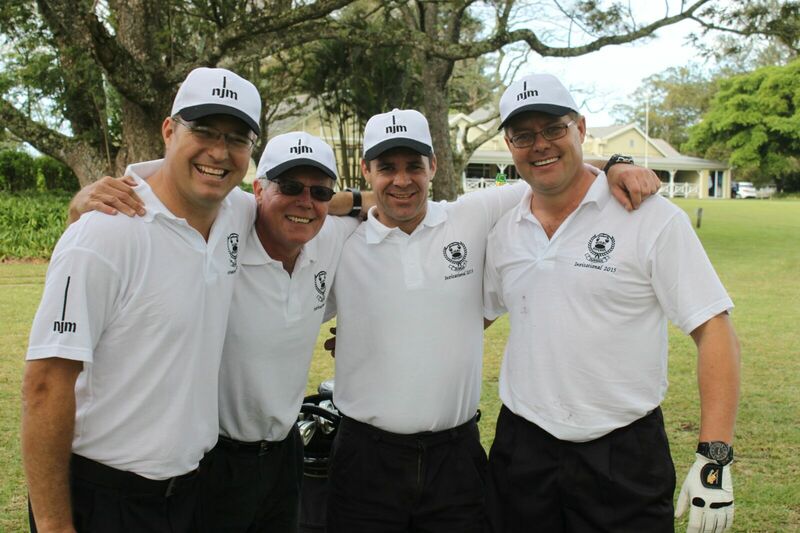 The day was won by the DDI Group from Durban with the Eshowe Hills side coming a creditable 3rd. ESHOWE CRICKET CLUB day on Saturday the 19th. The day is booking up fast with only 4 4balls left. The competition is a 4ball alliance and will be a shotgun start at 11.30am. The cost for your 4ball is R750( R190pp ) including dinner, if you would like to play with a dolphins player then the cost for your 3 players will R1000( R330pp ). Some interesting drinking holes and great prizes up for grabs. Spring is finally here and all the animals are appearing after the long cold winter. There has been a increase in snakes appearing around the golf estate, we are a eco-estate and are happy to see the wildlife thriving but please be careful when walking through long grass. Please remember that subs are now due and if you pay before the end of September you get a 5% discount. Any queries please phone Veni on 035 473 5010. With the onset of spring and the 10mm we had last week the fairways have greened up. Please note that Spring treatment is penciled in for Sunday the 27th of September and the course will be closed for a week while all the work is being done. We will be focusing on fertilizing all greens and tee boxes this week and the continued work of erasing alien invaders.